What’s happens if everyone on earth marches at the same time? …but a mystery it remains no longe r. Click here for science. Besides being mildly interesting, there’s a reason for me bringing this up: On the last weekend of November, millions of people, from hundreds of countries, numerous generations and genders, varied languages and dietary habits, will march for our common home — earth. The reason? The very next week, UN climate negotiations begin. Countries will gather together to discuss intended contributions to fight human-caused climate change. There is a lot at stake here. And it’s not just about protecting our planet (though that’s reason in itself!). Human-caused climate change is the biggest moral issue of our day, affecting not only “tree-hugging hippies” but every one of us. This is a humanitarian issue and it is happening now. As weather events become more severe and more frequent, the poorest and most dis-empowered are the first to suffer. Our neighbours in countries like Kiribati and Tuvalu are literally seeing their homes disappear beneath the sea. Increasingly New Zealand will see the effects too. We’re not just talking climate refugees. We’re talking unpredictable and extreme weather patterns (not good for the dairy industry!). We’re talking coastal erosion. We’re talking rapid changes to our environment affecting plants, animals, fish, birds and humans alike. So back to the marches. Besides millions of concurrent marchers potentially throwing the world out of orbit, what is the result we’re hoping for? Well, it reminds our governments and world leaders that this a serious issue. That we care. That action needs to be taken. That there is too much at stake not to act. But more than that, it presents us with an opportunity to act in our own lives. Instead of remaining helplessly passive or disillusioned, to actually get up do something meaningful. 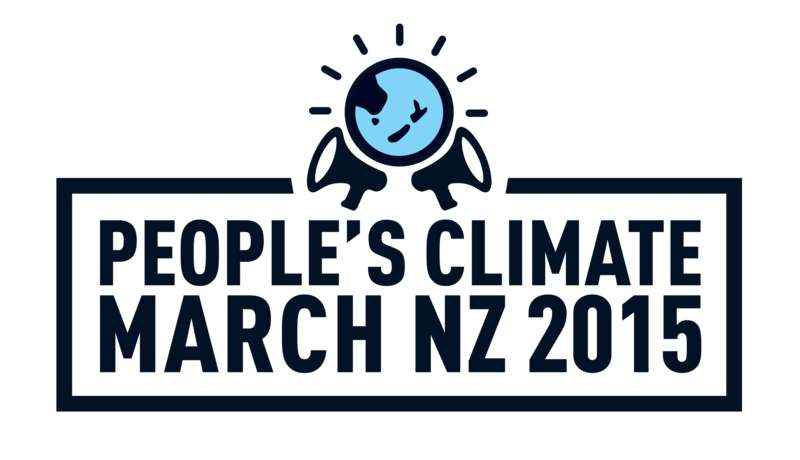 There is a parade in Christchurch on Saturday 28th November @ 12:30pm leaving from Victoria Square. Christians from all over Christchurch are joining to create a strong Christian presence at the march. Hope is getting involved and we’d love to see as many of you there as possible! The march isn’t just about protesting against something. It’s about parading and celebrating our common home. The day will be fun-filled, family-friendly, and truly global! In preparation, a few of us at the Living Room are getting together to make signs for the parade: Friday 13th November, from 5pm, at 7 Tinokore St, Hei Hei. It’d be great to see you there! We will provide dinner 🙂 . Nom, nom, nom.